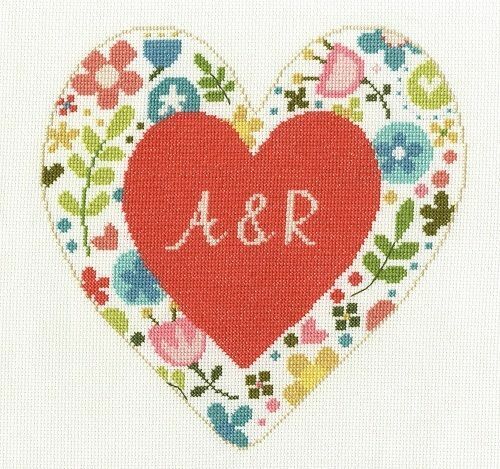 Personalised Heart .New design for 2016. Number of thread colours -17 on cardboard sorter. Techniques required -Cross Stitch and backstitch.